With Apostolic Praise Complete Membership you can get exclusive access to all 23 Apostolic Praise Courses (and more are being added regularly!) and learn at the pace you want to learn at. Instant access to first two lessons of each course! (50+ video lessons). Start a TEXT conversation at 650-877-2473! You asked for shortcuts, we’re giving them to you. The one thing we hear the most – besides how effective our training is – is that our students want shortcuts. They want to start playing better…faster. That’s why we added an exclusive “Shortcut” to our popular Apostolic Praise program. We’re calling it the “Apostolic Praise Complete Access.” If you’re looking for the fastest way to learn to play and transform your sound, this is it. It’s the ultimate path to going from wherever you are to successful playing (in under four weeks) and it’s included in your Apostolic Praise Complete Access membership. You can signup anytime. There is no specific registration dates for students or semesters. You start learning when you signup! Also, when you order today, you’ll get 1-on-1 personal support via email or phone, PLUS access to all Apostolic Praise Video Lessons, Study Infos, Goal Sheets, Online Quizzes, Practice Tracks, Apostolic Praise Song Download Center and more! Not sure where to start? View all our lessons in a list here. • User can share it with their spouse and children – FREE! 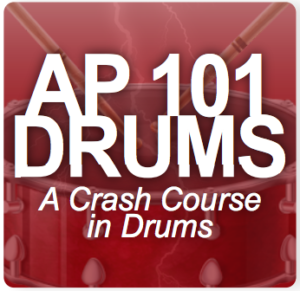 • Beginner to Intermediate Includes all Courses except AP 204, AP 300 Series and AP 700 Series. • Intermediate to Advanced includes all courses except 100 Series. • Each user can use it with their spouse and their children – FREE! Beginner Stuff, Melody, Fills & MORE! 3 hours 16 minutes of learning! Beginner Stuff, Fast Songs, 7ths & MORE! Sus, Aug, Dim, 6th Chords & MORE! 11th & 13th Chords & MORE! All 12 Keys and Minor Keys & MORE! Want to be able to listen to a Song and Play It? Take this course! Every chord and movement you need to know & HOW TO PLAY THEM IN EVERY KEY! Tritones, Modes, Soloing & MORE! Fat Chords, Advanced Fills & Runs & MORE! This course teaches how jazz chords and chording works and how we apply jazz chords and concepts to Gospel and Pentecostal music. This course teaches how jazz voicings (totally different from chords!) work and how we use them to re harmonize, accent, hear and play the melody (and of course how they apply to Gospel and Pentecostal music). This course teaches jazz improvisation (soloing, fills and runs using scales, modes, chromatic and diatonic concepts as well as other jazz techniques) and how we use it “tastefully” in Gospel and Pentecostal music. Learn how to play the organ! Everything you need to know to play!